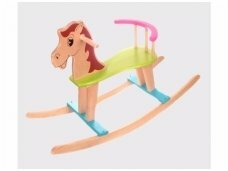 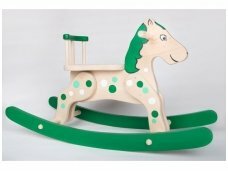 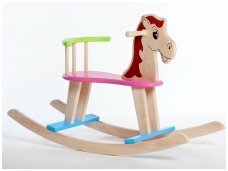 Rocking horses, swinging wooden toys, wooden swings, encourages children's activity, develops balance. 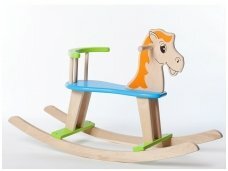 Untill the age of three children need toys, which not only develop small motor skills, but also their body. 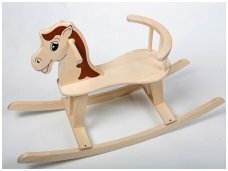 The most popular are wooden rocking horses, which are suitable for children from 1 year old. 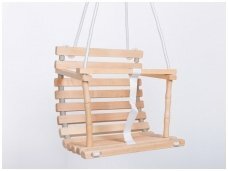 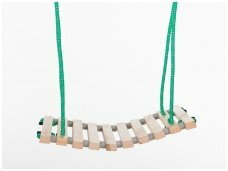 Wooden swings are suitable for the children from 6 months old, or some of the swings for older children, from 2-3 years old. 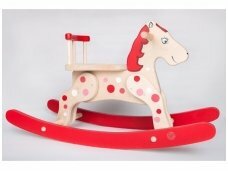 Wooden horses and swings are popular gift from christening, first or second birthday or for Christmas. 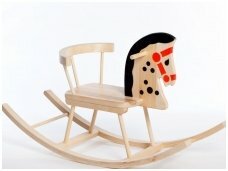 Almost all the toys can be engraved - it will be memorable and long-lasting gift for your child.